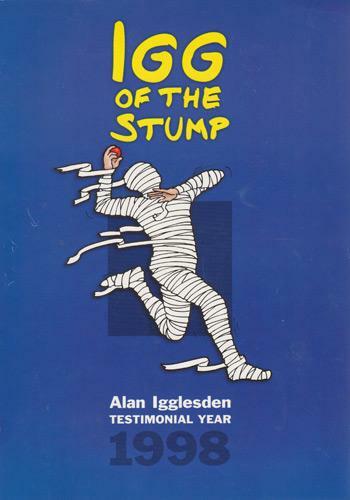 All profits to Brain Tumour Charity. 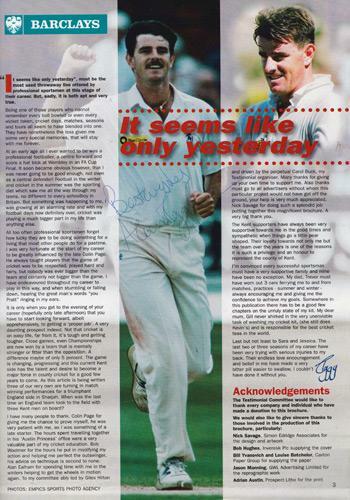 Below: "I Can Dream, Can't I" signed 'Best Wishes' featuring Iggy batting & hitting a SIX!? These two signed / framed prints have been donated to Alan to raise funds for the Brain Tumour UK charity. If you would like to bid for either or both prints, please Contact Us with your kind offer. For collection in Kent only. 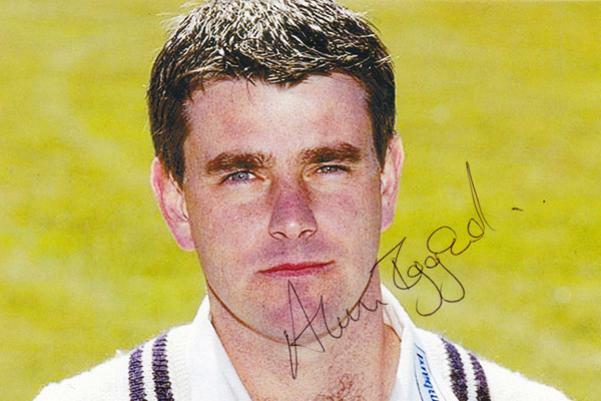 Signed 1998 Kent cricket testimonial brochure. 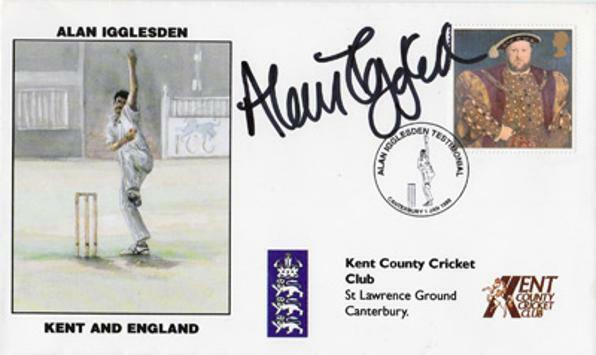 Signed Kent & England cricket Testimonial First Day Cover (1998). 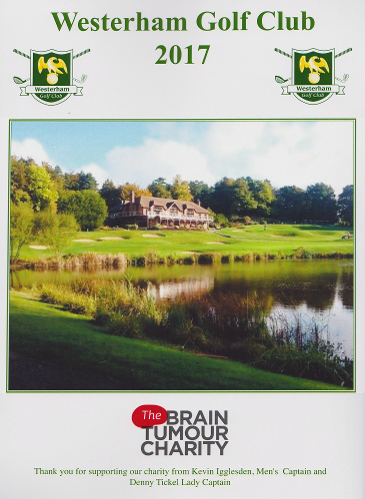 HELP ALAN & KEVIN IGGLESDEN RAISE FUNDS & AWARENESS FOR THE BRAIN TUMOUR CHARITY. WESTERHAM GOLF CLUB (Home of the Iggy Golf Day). 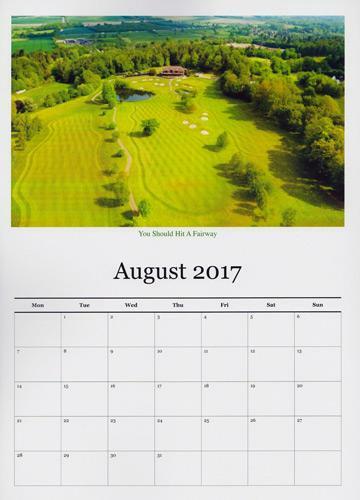 This A4-size full-colour calendar has beautiful photos of the Westerham Golf Course & clubhouse, plus a seasonal reminder of Iggy Golf Day 2016 at WGC. for UK postal delivery at £7 each (inc P&P). PROFITS GO TO THE BRAIN TUMOUR CHARITY! Click below to go to our shopping cart where you can order multiple calendars for £7 (inc P&P) in the UK.